Nick Benson – I’ve been going through the work on your website. I am somewhat arbitrarily beginning with ‘Souvenir Drawings’ (2007), but maybe not so arbitrarily, as it may be the oldest of your works there and it seems to contain some of the themes that are explored further in your work in the next few years. The process of transmitting experience is laid bare or put under the very clear lens of a digital camera. The lens frames another image, which is in color and printed on paper and is placed next to an envelope, a big manila envelope with postage on it. You can see that the photo/message was probably mailed to someone, sent from NZ to the USA, I think, and the photo/message has some comments written or typed on it. The effect on me was first of recognition, but also, at the same time, displacement. I know the act but not the contents–and some of the contents are strange and coded, with deletions, as sheep are blank white holes in the landscape, cows are again identifiable but are flat and lurid lime color, meanwhile the landscape is vast and unpopulated and there’s a kind of Edenic light all the time. I love the way this extreme nature is radically domesticated, trivialized, and transformed into a communication gesture all at once, and how this all moves from the retrospective and private to the public and more transformation as more people look at and think about the series of images, again entitled ‘Souvenir Drawings.’ Now that six years have passed since this work was conceived, I wonder what you think about it in retrospect. For me, the work is something entirely new, and I like it. I like the way it suggests the already-internalized inevitability of deletions and degradations that occur over time, and the mythification and artificiality that accrues to the human process of communication. 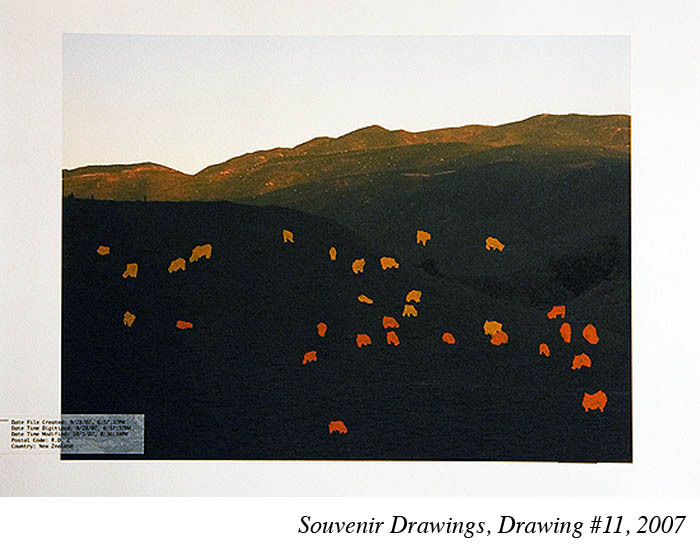 Jason Wallengren – I did these works (Souvenir Drawings) while at an artist residency in New Zealand in 2007. I went there about a year after starting my Masters in Fine Art. 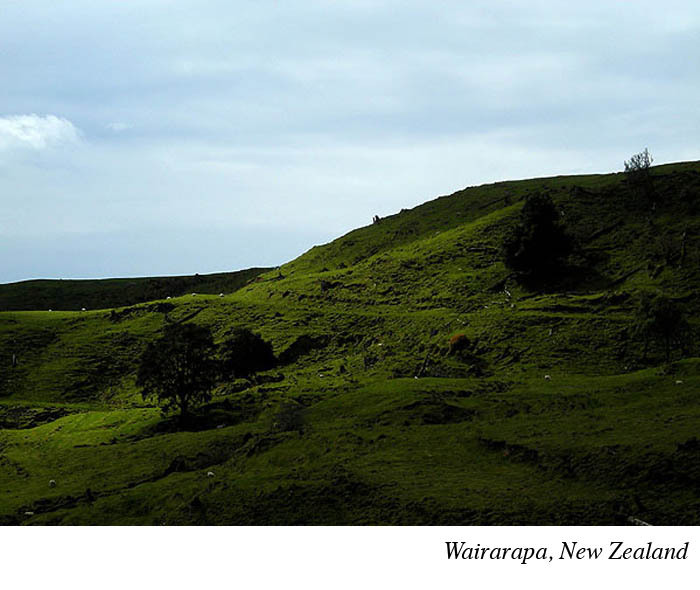 I stayed at a small farmhouse on the North Island in the middle of nowhere for 4 months. In fact some of the photos for the drawings are from the farmhouse’s backyard. Waking up to birds chirping and cows mooing every morning it really was in the middle of nowhere but amazingly somewhere. This body of work was a response to where I was and would eventually become my memory of it. The reason for calling them Souvenir Drawings? They became my own personal postcards. 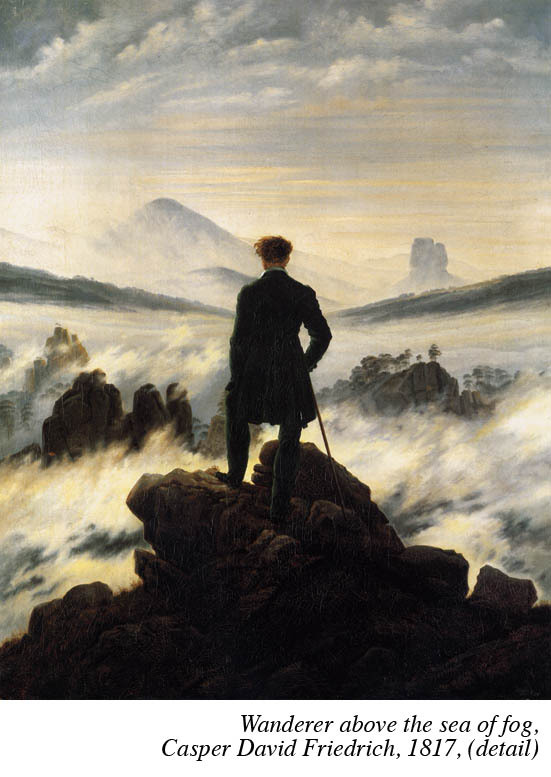 In German the word Erfahrung means experience but it stems from old German to travel, to go out, to wander. A postcard is a souvenir of this nomadic experience I want to memorialize. Either by sending to others or keeping for myself, it substantiates my experience and therefore reason for travel. 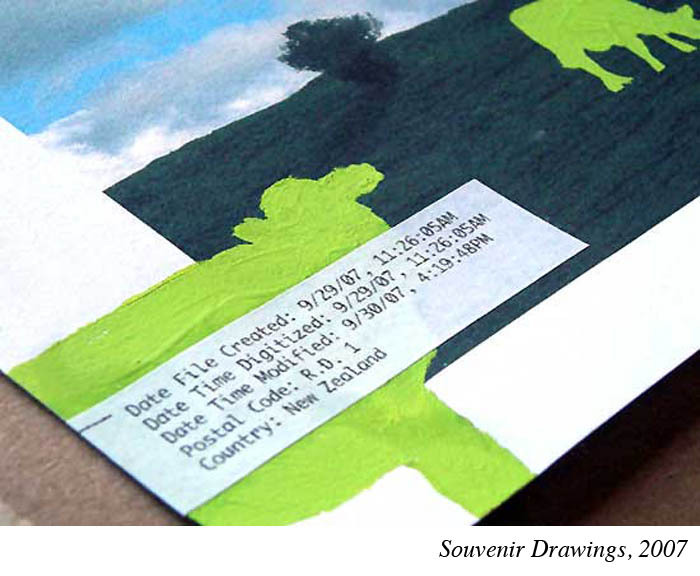 After each finished drawing I applied a time & date stamp on it locating it within my experience in New Zealand. This stamp also included when and where I mailed it from. I then mailed each one addressed to myself at a location in Connecticut. It actually went to my in-laws in Litchfield. I asked them when they received all 10 envelopes to send them back to me in NZ. That is the postal box you see in one of the photos. 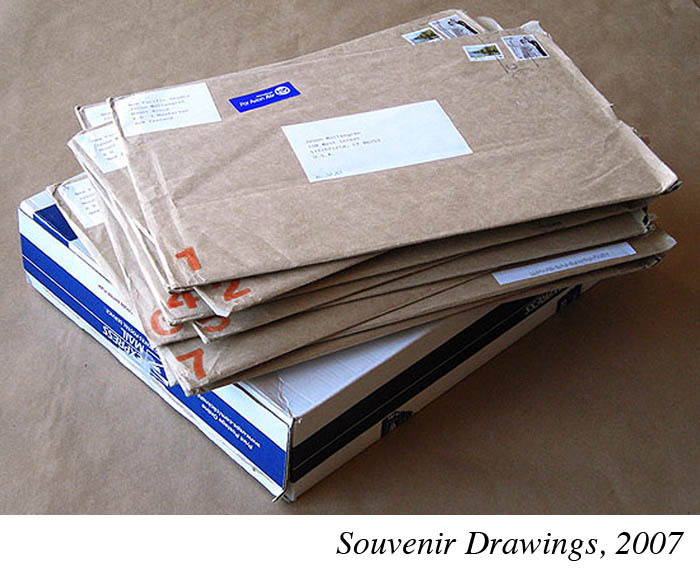 Once I received them I then opened each one to display, the drawing next to envelope. I have not ever displayed these but if I did this would be the thought, like looking at documents in a library. I was really curious about using the postal system as an exchange mechanism for my experiences. The work(s) function as a nemonic devices of my time spent in such a far-away place. So far from home, but where was home for me at that tim? 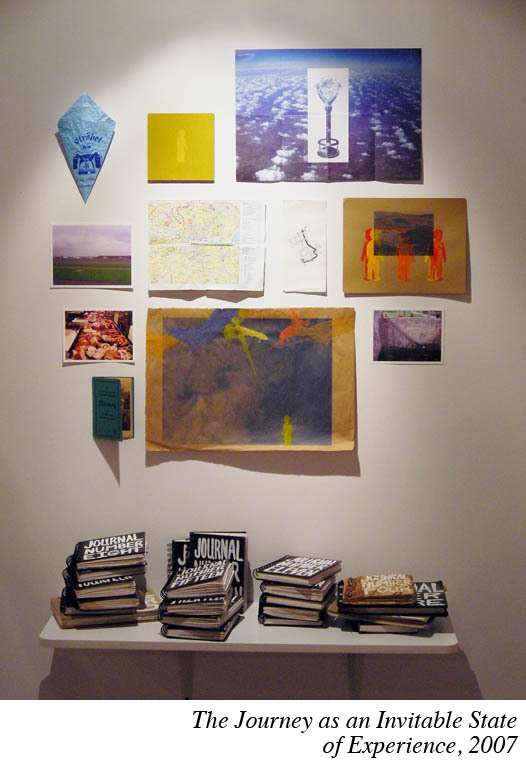 They became my memory of where I was and addressed themes and issues that would eventually become part of my practice; transience, memory, use of ephemera, collecting, chance, systems of exchange. I had gotten into the masters program at The Art Institute of Boston in 2006 by showing my editorial photography but was clearly going to try investigate mediums and eventually other forms of artmaking once in the program. The program actually encouraged getting out of your norm. If you painted why not try photography or video, etc.. So when I started I began to draw on my photos, manipulating them and disturbing them. I researched the history of photography and used this ‘seeing objectively vs. seeing subjectively’ dichotomy to push my work. Eventually realizing every image, photo, artwork is a subjective creation. I was very interested in challenging the perceived reality of photography by threatening it. You are correct to suggest I was degrading the drawings over time. By altering these digital outputs I wanted to challenge the viewer – and probably myself – into baffling them as to which is ‘real’? The photo or the drawing? By using spray paint, gouache, ink, and I was trying to create a static image that looks like it was created or can be a moving over time. Maybe it’s an attempt to think of moving imagery in a still format by showing multiple layers of stills. By stamping it with a date and time does it not negate the fact that the photo was created at a specific moment in time? But my research also led to me understanding that the very act of taking a photograph (either with film or digital processes) was in itself a complete subjective account of reality. It can never be a slice of reality or represent anything other than the very photograph that it is. Which has kind of been an underlying thread throughout my work. Although I also work in a very spontaneous and loose way which may not go back to this thread entirely. Trying things here and there. I remember reading about Robert Smithson and he said that sometimes when he draws or comes up with an idea he doesn’t even know what he’s doing. That’s always stuck with me. I think it approaches this intuitive and almost subconscious way of thinking and therefore doing. The reason for sending the drawings through the postal system half-way around the world? I remember people asking “Aren’t you afraid they’ll get lost?” For me this was one of the important aspects of the work. The idea that I have no control over whether they ever made it to their destination or even more whether they made it back to me in New Zealand. This to me was so exciting! This idea of chance, rolling the dice, we’ll see what happens. The drawings will make it back to me if they want to make it back to me. Very Dude-like, a la The Big Lebowski. Since these works I’ve been told my work can be understood as being very zen-like. But I am in no way a practicing Buddhist. So the very act of carrying a camera, knowing it will be used to memorize what we see, is a false reality in it’s nature. This was a main theme I wrote about in my thesis for graduation in 2009. So with these drawings they aren’t as much of a postcard saying “look where I was” they are more of “I was somewhere, but where is it? It can be anywhere.” And it is anywhere really but I give enough clues (sheep, green pastures, etc.) to locate me. Interestingly many people have asked me if these are form Ireland. I guess anytime there are sheep in a green pasture it will either be Ireland or New Zealand. NB – I like the way the planet earth swims into view in an un-specifically located way. If you were in Holland, for example, fields or pastures wouldn’t have that quality. But the farm animals (now that I’ve been thinking about it for a little while) because they’ve been rendered in this daffy, kitschy way, become an unsettling sign, a bit threatening, too much a sign of human intervention. I’m over-reading the work here, but this kind of allegorical reading is called forth by the experience of looking at ‘The Journey as an Inevitable State of Experience,’ with the pristine tidiness of the hundreds of types of prepared meat in the glass-enclosed case, for example, or the seamless outward perfection of life in the all-encompassing vision suggested by ‘Somewhere over Bavaria.’ Of course it’s impossible to look at those images of Nurnberg, as with ‘Bild Perfekt,’ without a sense of unease. This is where your work can remind me of Gerhard Richter’s ‘Atlas.’ I’m interested in whether you feel drawn to work in Germany now that you’ve been there a while. I can imagine you might, because of the layers imbedded in its outward reality. I also wonder what kind of critical reception you’ve had there. I very much like the notion that you’ve put forward of the artist as an idea translator, located on a social continuum involving ‘collective’ and ‘individual’ consciousness — also that the ‘translating’ involved might be diachronic, not synchronic or just a matter of what is in front of you or affecting you at a particular moment. Someone looking at the wall of ‘The Journey,’ in this sense, is being optically engaged in interpreting postwar Germany; and the discomfort of this post-modern assemblage/installation is compounded if the visitor is completely unaware, or not given to critical thinking, and just takes it all as an inventive traveler’s suitcase of mementos…watching someone watching becomes part of the experience the art seems to demand to fulfill its meaning. Does this all sound far-fetched? JW – Interesting you mention Richter’s Atlas. While I did look at his work I looked longer at Aby Warburg and his Mnemosyne Atlas (see http://www.medienkunstnetz.de/works/mnemosyne). I wonder if Richter is familiar with Warburgs work. Warburgs work stimulated in me this way of seeing, processing, and categorizing. This is evident in ‘The Journey as an Inevitable State of Experience’. New to Germany it was a way of seeing where I had just landed and making some sense of it. I collected and showed things that I used and saw. These little black books in the work are my daily journals which I have with me at all times. They are a repository for ideas, observations, and ephemera. 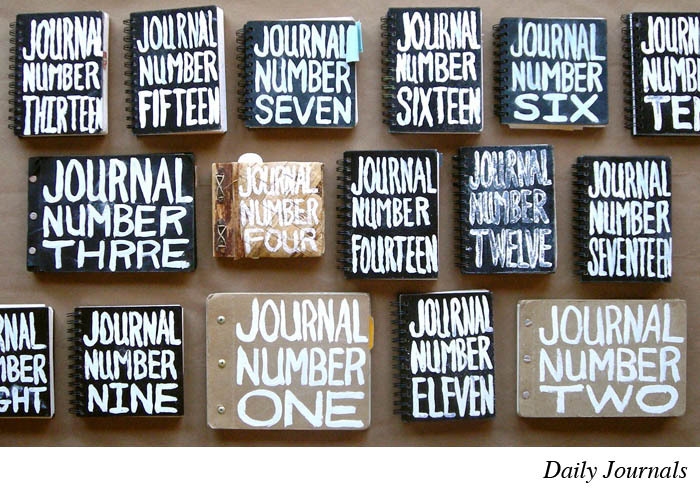 This was the only time I showed these journals and also the drawings with the little boy silhouette. These were early drawings in the I did in the Masters program and they represent my alter ego if you will. 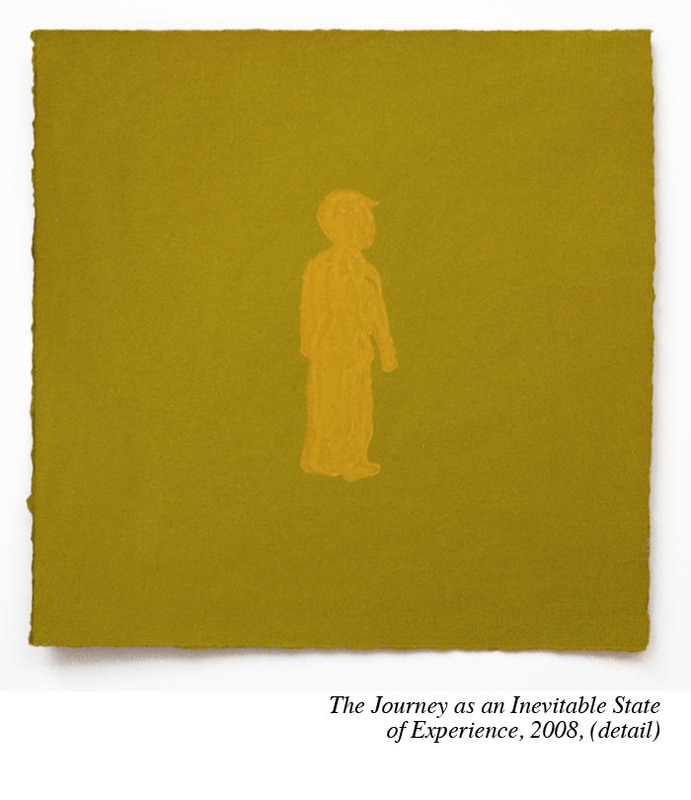 A figure always in a perpetual state of travel and experience. Yes this idea of watching someone watch something has been in my work for a while. The viewer looks at the drawing of a boy looking at something. The artist looking at a viewer looking at his work. 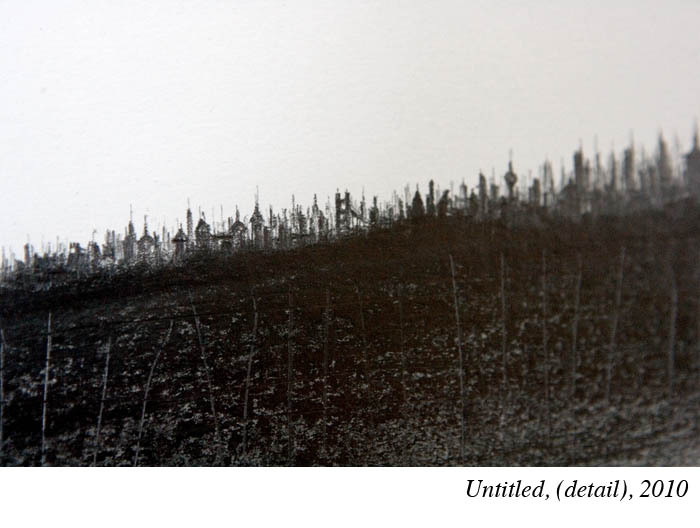 This double viewing was influenced by Casper David Friedrich who did wonderful paintings, almost haunting, of people looking out into the landscape. At the time he received a lot of criticism because he showed someones back to the viewer. This was the 1800’s and the photograph was just coming into existence so maybe he was a bit of a visionary. He saw what would become of our voyeuristic world by means of digital representation. I like living here in Nurnberg and we’ve adapted to where we are but it also feels like a place we are visiting. Meaning we know we will eventually move back to the U.S. The first few years I was a bit naive and thought I could develop a network of artists where we could do great things. But I may have turned people off and being such a small art scene it probably didn’t help. So while I have some artist friends I am not part of some network which at times makes me feel displaced here. Probably the reason I’m backin New York so often. So it’s been a little difficult to make a mark here in what is a conservative art area and being a non-academy taught artist. I started collecting postcards when we first moved here. 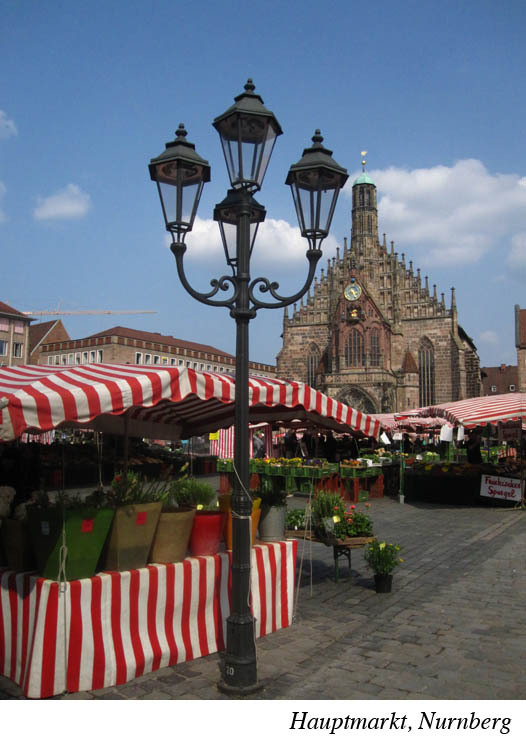 I was interested mostly in old ones of Nurnberg and surrounding areas. Especially places we have visited. 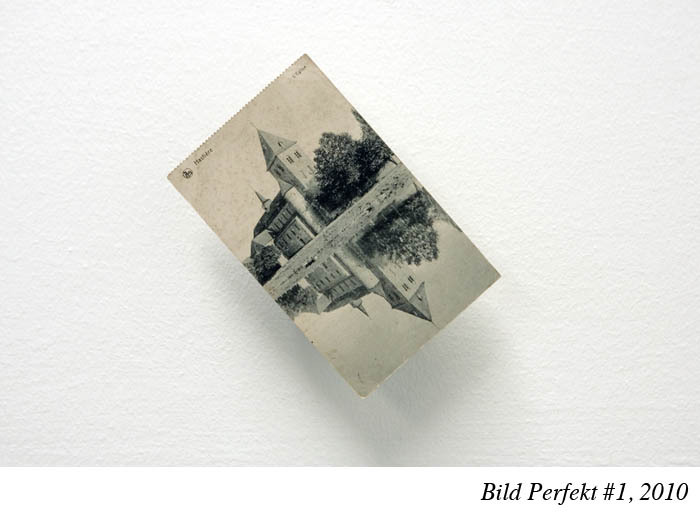 Bilk Perfekt came about as a random act of chance. I dropped one of these postacrds (Bild Perfekt #1) on the floor and when I looked at it I couldn’t tell the correct orientaion of the image. It was an old photo of a castle and a lake with it’s reflection. So by this delicate chance event I was taken by how something as simple as a postcard (and photo) can be viewed so differebtly. So I came up with the idea to make a series of them and put each on a clock motor. While turning ever so gently they take on new views as you look at them not knowing which is the correct view. They re-present a distorted allegorical view of history and our memory of it. But also how I am seeing things as I go along here in Germany. It seems we want to categorize what we see as if this will help us understand it better. When people ask what type of art I do – if I say I do conceptual works based around the concept of our collective and individual memory of place and experience – they mostly will have a confused look on their face because they’re looking for me to say I do watercolors or bronze sculpture. They need to categorize me with my actions and this will help them understand what I do. I use systems of categorisations for my practice but turn them on their head. As in The Journey, this is a work where I categorized myself at a certain time and place with the Journals becoming an archive or artifact that could be held and looked at. My idea to present this was if you were in a museum or library and looking at things from a different period. So while it had this accessible tactile nature to it also functioned as a glorified travel blog. Which is cool with me, the more perceptions my work has the better! NB – Given your interest in how we categorize and don’t see what we haven’t already filed away somehow, Germany seems like a great subject for you, though it could be exhausting for that reason too, because everything is layered and weighted with meaning. I’m interested in how working in the US or taking it as a subject feels different to you. Liberating? Are there other entanglements or histories? When I look at the works in Drawings I & II, I’m struck by the tension between the sign, the evident thing, and what we don’t know or expect from the sign. I’d say it’s the tension between the rational and evident and the implications and ramifications. This is territory frequented by much postmodern art, to humorous and satirical effect. One of the things I like in these works is how human ambition is affectionately parodied. 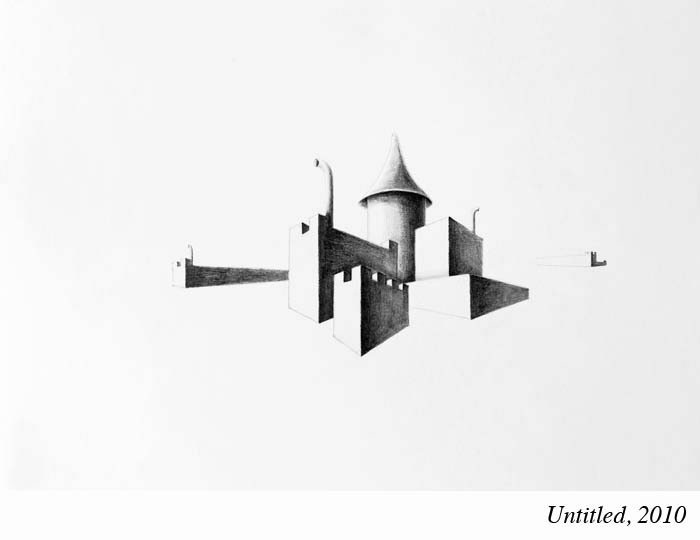 The castle tower is an ironic heroic landscape, where the narrative has vaporized. It’s a little like an absurdist parable, there’s an orderly framework but a blinding midday sun has vacated the place. 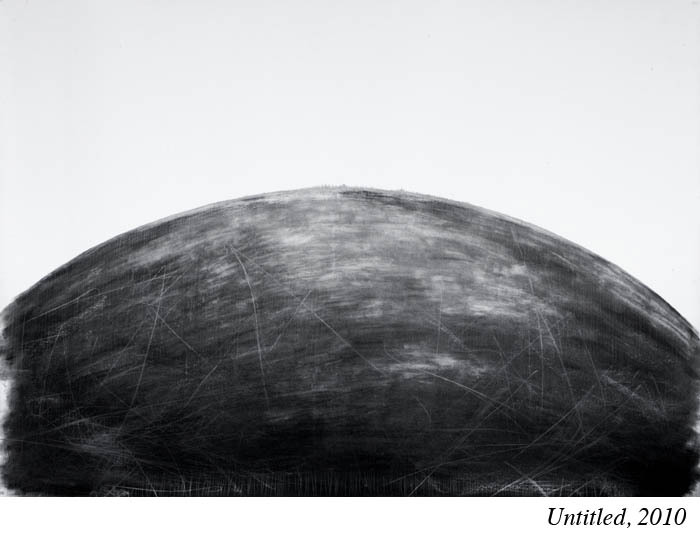 One of the ‘Untitled’ works from 2010 shows a canvas-wide orb with scratches on its surface like the surface of Europa, Jupiter’s moon, and on the lip of the orb one can just make out some bumps, which look like habitations or pillars of earth. 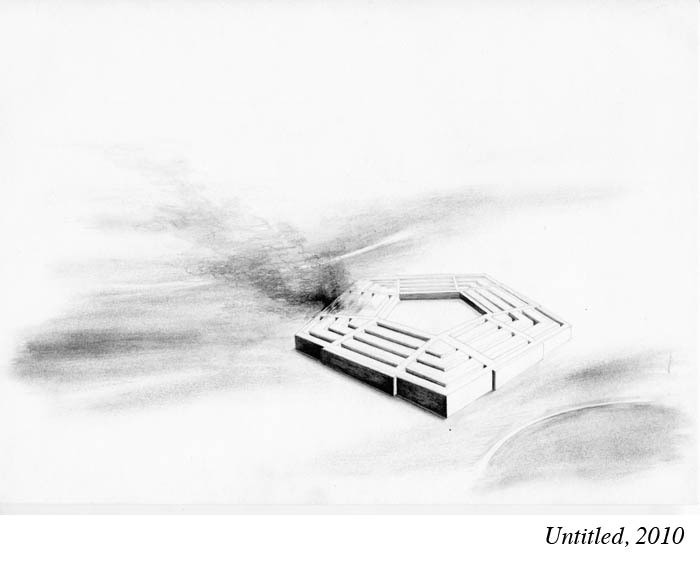 Continuing through the images, one finds eerie apparitions, the Pentagon. JW – I’ve been saying for some time now that living here in Germany makes it easier to see where I came from. i.e. America. In a strange way being so far from home, where I grew up, allows me to not see only visually but in a historical and biographical sense. I think it has to do with sight and the physiological phenenom associated with the act of seeing. Because of this act of seeing I am engaged it I am asking questions. And when I find answers to those questions I question those as well. It fits the mantra of the self and the other. I am not German but I understand what it means to be German which I’ve learned from our friends here and by observing my surroundings. I think this education of seeing myself and the other leads to seeing the signifier and the signified. Exactly what you say, seeing what is evident and what we can’t see. These drawings which are no more than observations of my surroundings, address this. A local building, a bus stop shelter, a tram bridge. Maybe it’s a concept of negating reality by showing reality? The sign drawings are a literal play on this sign & signified. I have made a few actual road signs that came from these drawings. (see the Sight Markers link) One said Reality backwards with a line through it. On the roads here in Europe this is what a sign looks like when you leave a city or village. 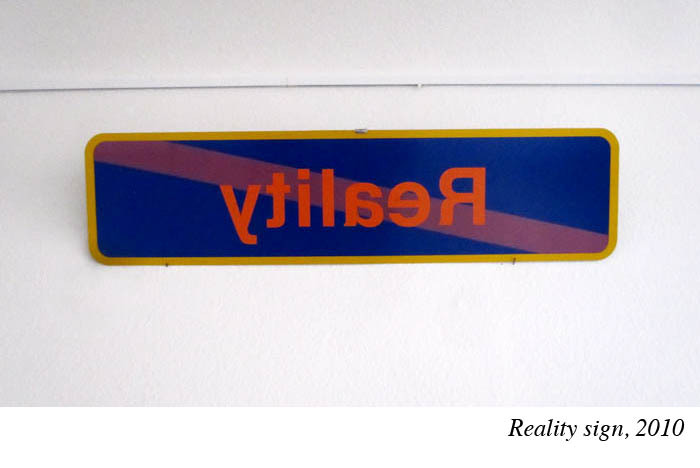 My sign literally reads as you’re Leaving Reality. I placed it in the landscape and photographed it and then placed it in a gallery. I think it was confusing to the audience here because they tend to obey all signs and directions. So asking them to decode a coded sign was a bit too much. Maybe this work would be more interesting in America? The Orb drawing is a large work that when viewed from a distance just looks like a satellite structure (not too unlike the Death Star) but when you move closer you see this fantasy cityscape arching around it. Again a play on one’s perception of near and far. There’s a scene in Star Wars when Han Solo is approaching the Death Star and they can’t tell what it is, thinking it’s a planet. Only when they get closer he realizes it’s not a planet but a man-made thing. Really cool scene! 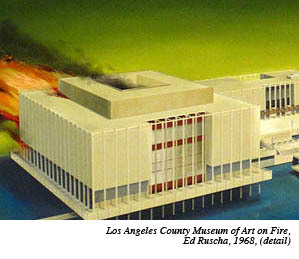 The drawings with smoke, chaos and fire allude to Ed Ruscha’s amazing painting Los Angeles County Museum on fire. I’ve seen this painting and it really is amazing in person. I was fascinated by this depiction of what looked like a current news event yet set in this futuristic landscape. Again using signifiers and the signified to play with perception. I can connect it to my reliance on news imagery as sources and reference within my practice. This dogma finds it’s way into my work in many ways, shapes, and forms. For the drawings which have tension and chaos in them this is a reaction to what I see as happening where I came from. I am very concerned and worried about what’s happening in America currently but maybe I would have not been able to see this had I not moved so far away? Maybe these impressions are becoming a catalog of not just post-modernism but the post-Americanism hegemony? Or at least how I see it? NB – Given your interest in the whole experience of the viewer it wouldn’t shock me if you embarked on a project more like what Ilya Kabakov used to do in the 1980s or what Mark Dion has currently in MassMoCA, the Octagon Room, a sandbagged bunker full of bourgeois bric-a-brac. Or film. I’m glad your work is well-documented on the web, so that even if someone can’t visit a work like Studio (2013) at least they can get a good idea of what you’re doing there. I love the images online of the people visiting the exhibit. They make me feel like I’m closer to being there myself. 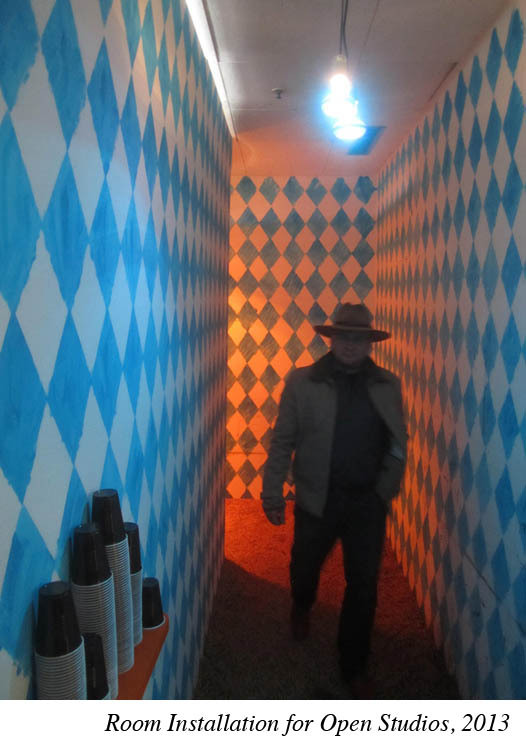 The dude in the hat is a Bavarian everyman, or Fassbender, finding the exhibit useful at the tap and making his way past while on the walls heimat becomes hallucinogenic. Actually the whole thing brings back memories of a dysfunctional future. If Ivan Johnson (from Godard’s Alphaville) were in town this is what he would see. JW – I was just in Hanoi, Vietnam for a brief vacation. Of the many sights I found fascinating was sitting on the 2nd floor of a coffee shop overlooking an intersection in the old town. What I witnessed could only be described as a chaotic dance of 2-wheeled motor bikes, cars, buses, rickshaws and even people. All entering the intersection, dodging and weaving each other as if they all took dance lessons from Fred Astaire. I sat there for maybe 2 hours just watching this dance. It was pure enjoyment! I’ve heard of Mark Dion but not Ilya Kabakov. Will have to look him up. 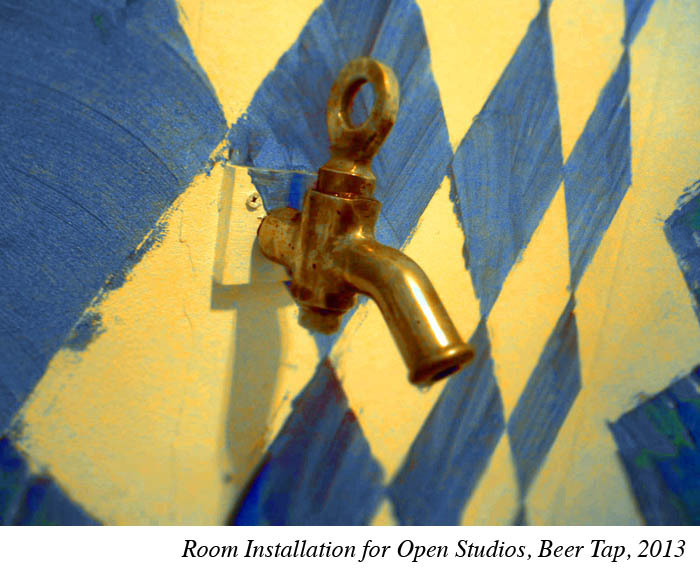 This idea of creating a hallucinogenic beer garden in my work space was the 2nd year in a row where I turned my studio into an installation during our open studios weekend. The phrase ‘Let them eat cake’ was in my head when creating the beer garden but instead I would let them drink beer. A daily practice here in Bavaria. But it was more than that! For those that had enough courage to enter found a reward at the end in the form of liquid gold. I could see this a dysfunctional future! As the world crumbles around us as long as there’s this ‘golden tap’ where I can just get my beer, I can make it to the next day. Jason Wallengren is a self-exiled American artist who questions the geographical identity of his art by working in atypical global societal setups. He shifts his physical self from landscape to landscape which constantly alters his visions, perspectives, and eventually his memories. These altered experiences allow him to question his own interpretation of reality or the reality that is submitted to him. His constant travels between continents and nations perpetually help him to reevaluate his individuality and reinvent his own pluralistic artistic personality. Using a parallel multidisciplinary strategy, (including drawing, found objects, videos and installations) allows him to keep an open-ended involuntary approach to materials and ideas. The concept of Systemic Information Exchange is at the underbelly of his practice, often using the correlation of the word and the image as a basis for scrutinizing the polarity of Collective and Individual consciousness in our globally constructed societies. He currently divides his time between Nurnberg, Germany and Connecticut, U.S.
Nick Benson, teacher, translator, and coffee roaster, is a co-editor of frankmatter. This conversation was published in a limited-edition pamphlet by The Postmemory Project / Correspondence Series (no. 1) in August 2014. It can also be found online at The Post Memory Project. This entry was posted on October 28, 2014 by nb in interview.